Sometimes I don’t have enough time to do finished work. So, at times a sketch will have to do. I think that sketching might help me loosen up anyway. I am going to isolate some resource images to do sketches from. For this, I put down a base layer of watercolor and then added the pencil. I like the looseness of the watercolor underneath, and it acts as a really minimal guide for the drawing. The great thing is I can put the watercolor down and then come back and add the drawing without a lot of time commitment. 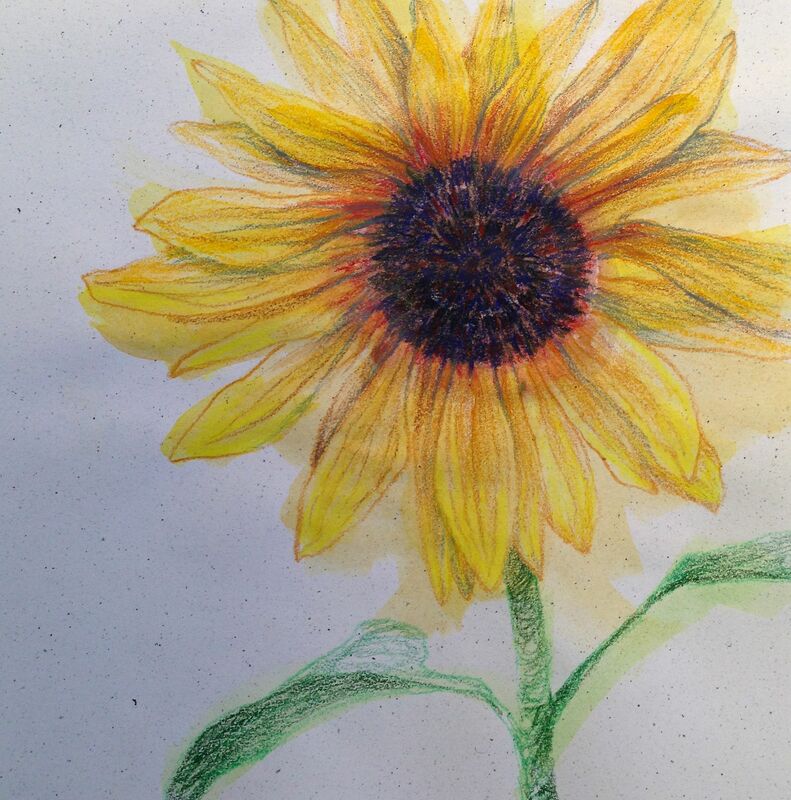 This entry was posted in Uncategorized and tagged colored pencil, sketch, sunflower, watercolor. Bookmark the permalink.